Lately I’ve been playing with videos at my workplace (programming related). 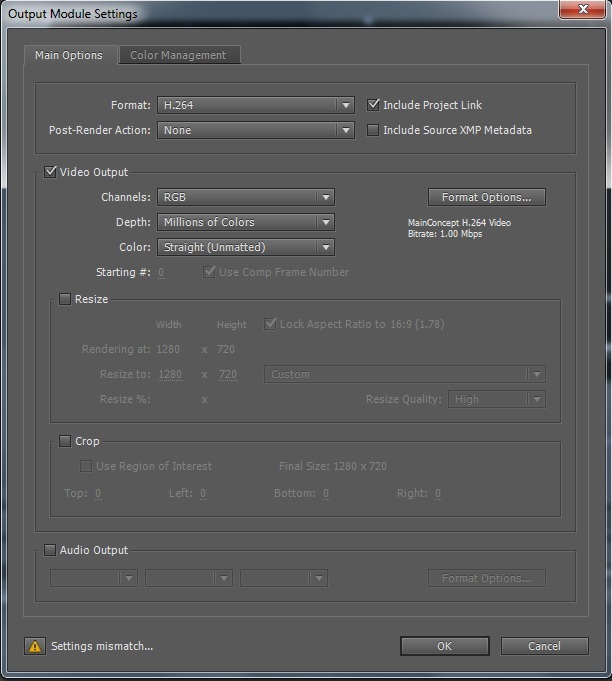 The widely supported video codecs, H.264, cannot have alpha channel, so in some cases I have to export the RGB channel and alpha channel into 2 files and then combine it in the program. In After Effects this can be done via Output Module Settings. To export RGB channel, choose “RGB” in “Channels” and “Straight (Unmatted)” in “Color”. The “Color” choice shouldn’t be “Premultiplied (Matted)” because the 2 channels will be combined later. To export alpha channel, duplicate the settings and change the “Channels” to “Alpha”. This entry was posted in Komputer and tagged after effects, codec, h 264, video, video codecs. Bookmark the permalink.